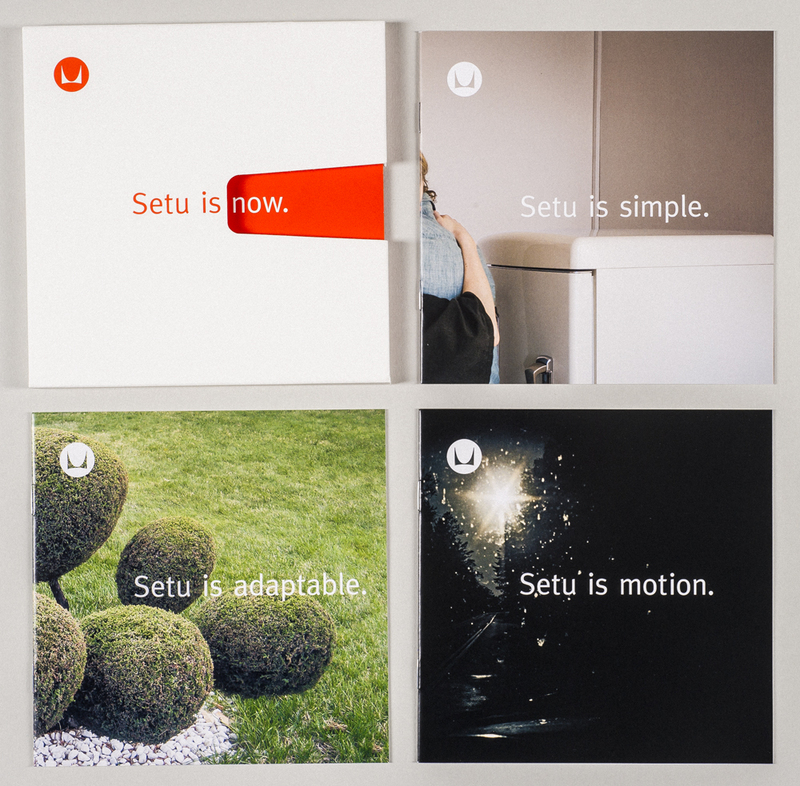 A package of 4 brochures introducing the Setu chair from Herman Miller. Paper/Material Box: uncoated white cover. Brochures: gloss coated white text. Techniques Box: offset printing, 1 spot color. Diecut, scored, folded, assembled. Brochures: offset printing, 4 color process plus 1 spot color. Satin coating. Saddle stitched.